Perlick’s industry exclusive Slant Top Bottle Cooler incorporates a stylish design with innovative technology. The slant top style allows for 15% more storage than traditional bottle coolers without needing more bar space. 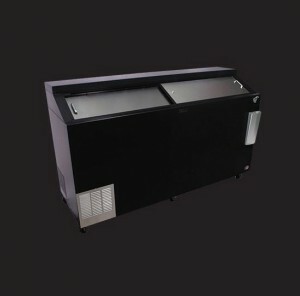 The slanted top also prevents bartenders from placing heavy cases on, or sitting on, the top of the cooler, which can cause the top to sag in extreme cases.